Lash Extensions from Brassfield’s Salon and Spa will give you longer, luxuriously thicker lashes with more volume, for a look that beautifully frames your eyes. Even better, you won’t need to apply mascara! Lash Extensions are single strands of synthetic eyelashes that are curved to replicate a natural eyelash. They are applied to each individual natural eyelash-one at a time-for a natural, flawless, beautiful look. Because of this meticulous application, your lashes will look and feel completely real. Everyone will just think that you were born with beautiful, fabulous lashes. 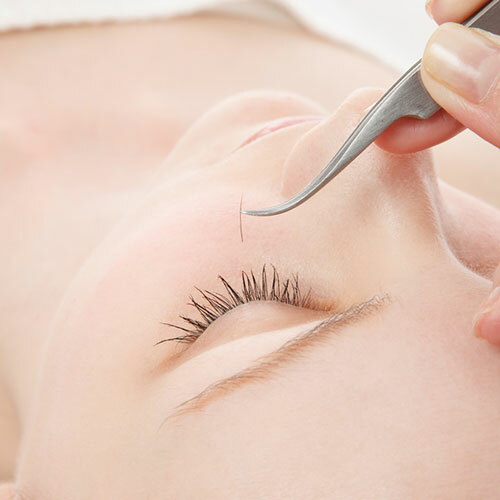 Eyelash Extensions are weightless, resistant to water, showering perspiration, exercise, tears, sleeping and even swimming. They are perfect for special occasions, as well as for everyday wear.